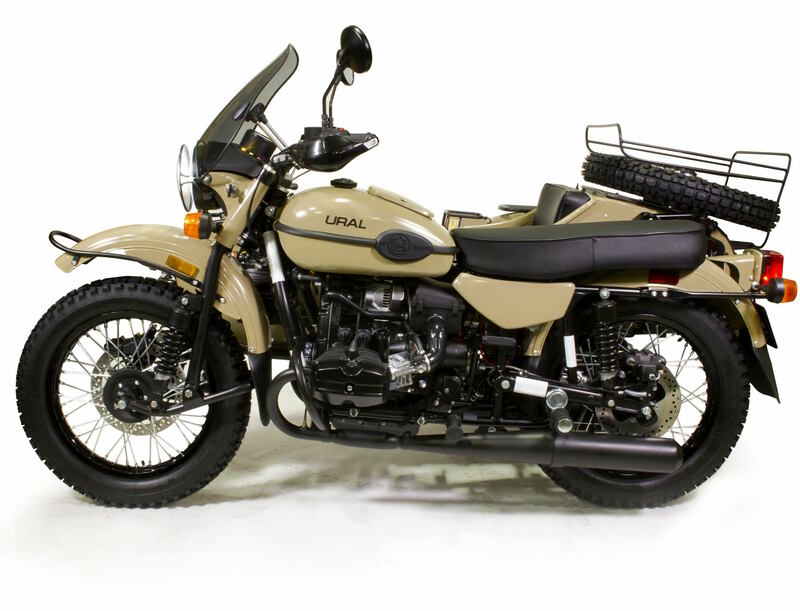 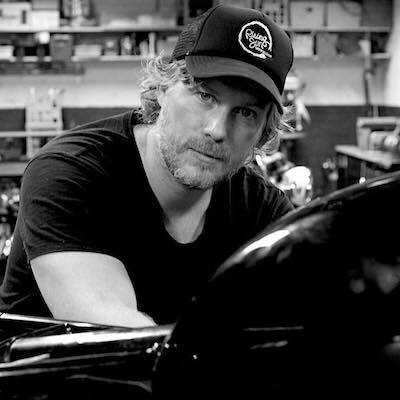 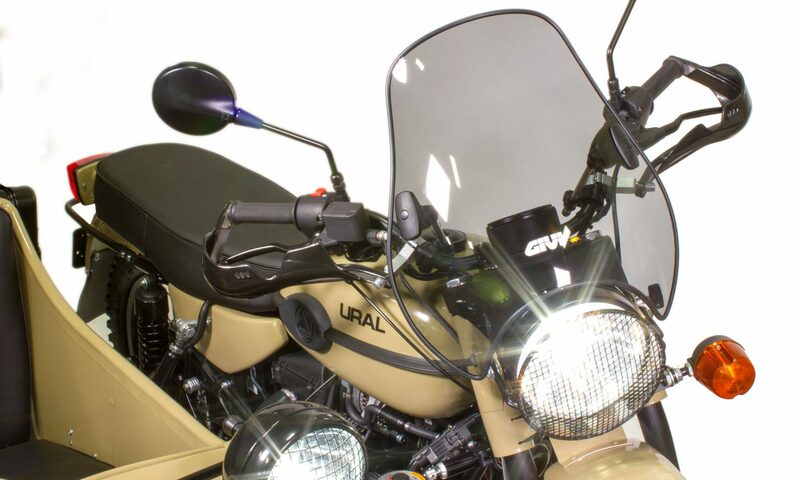 Ural Motorcycles are the world’s pre-eminent builders of off-road sidecar motorcycles, their two-wheel drive bikes have earned a reputation for being able to go anywhere – even places that traditionally capable 4x4s struggle. 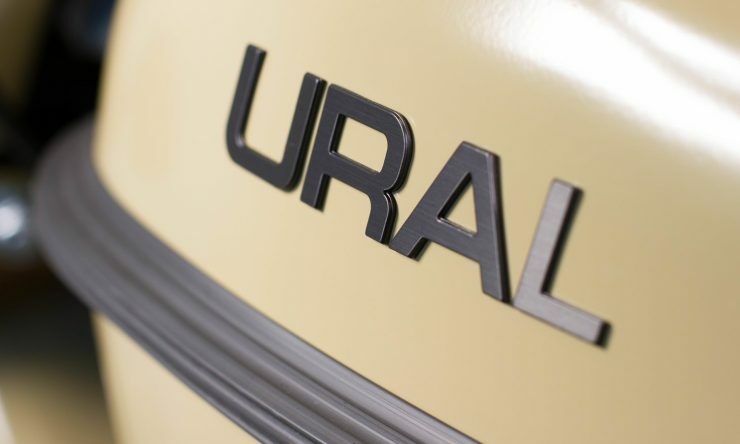 The Ural Sahara is one of the most capable rigs the company has yet produced, it’s a limited edition model that was so popular in its last iteration that the company has brought it back to fulfill customer demand. 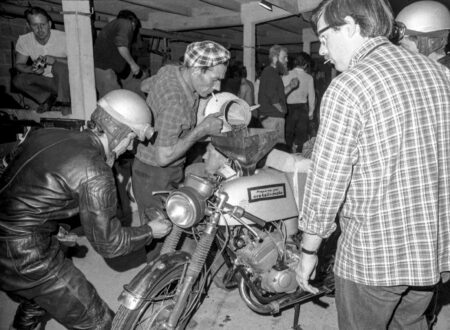 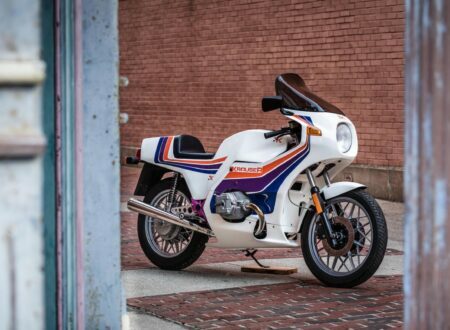 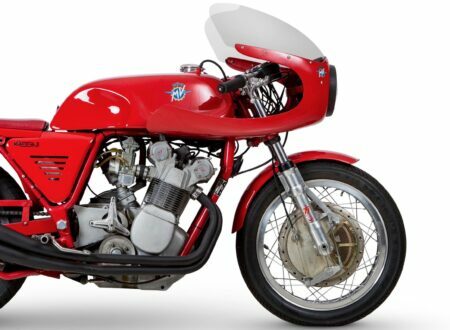 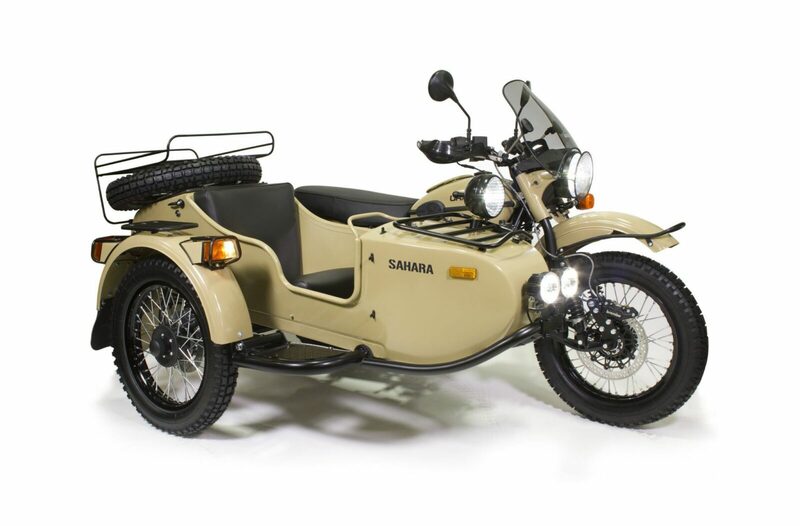 The base Sahara comes with the venerable 750cc OHV, air-cooled, boxer twin that produces 41 hp and 42 ft lbs of torque. 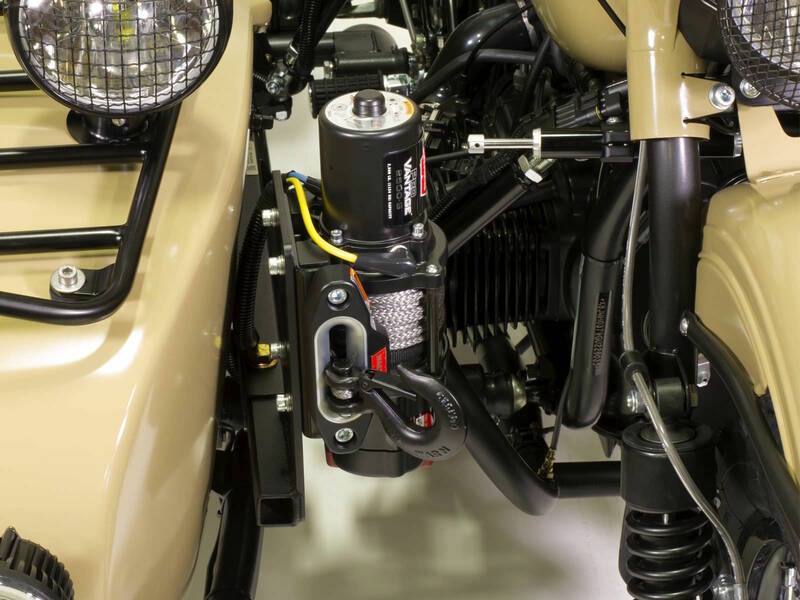 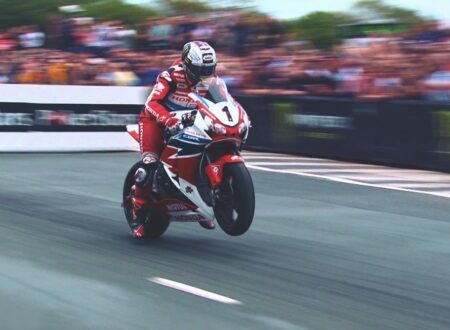 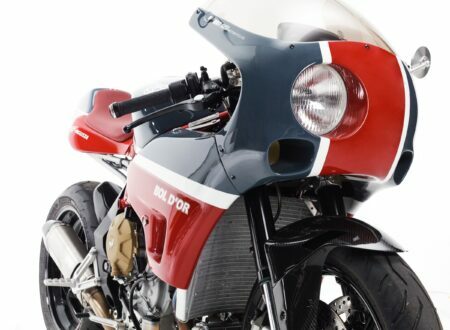 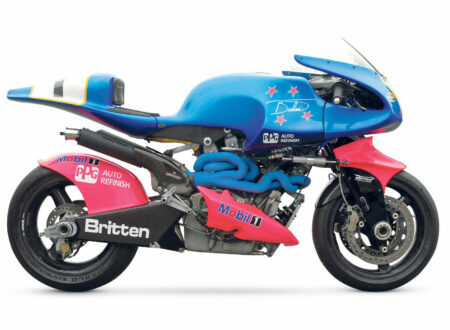 Power is fed to the rear wheels via a 4-speed transmission (4 forward and 1 reverse), and a shaft drive to the rear wheels – both of which are powered. Each Ural uses IMZ leading link fork front suspension, with twin Sachs springs on the rear, braking is handled by a 4-piston fixed Brembo unit up front, an HB big bore single piston integrated floating calliper on the back wheel and a 2-piston fixed Brembo calliper on the sidecar. 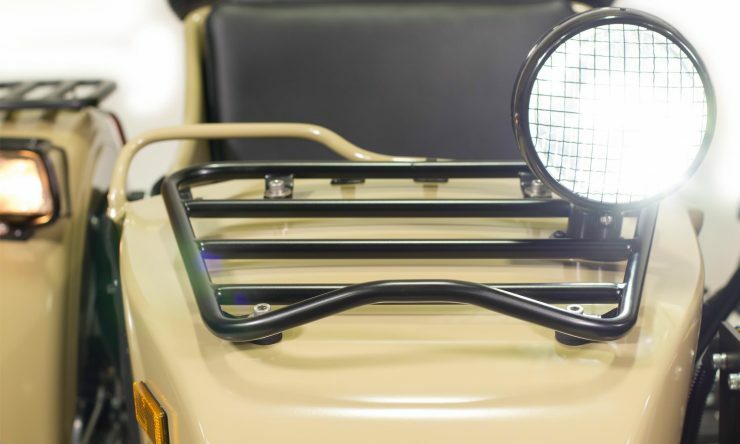 The Sahara you see pictured here is fitted with many of the additional, optional upgrades that take the model from being capable off-road to being almost unstoppable. Perhaps the most important of which is the Warn ProVantage 2500-S winch with the Kalaber winch mount, but there’s also a matching set of 4 Heidenau K37 tires, a black ceramic coated exhaust, an LED headlight and sidecar lights, a Givi Rider windshield, the sidecar fender rack, and the mesh rock guards fitted to all forward facing lights. 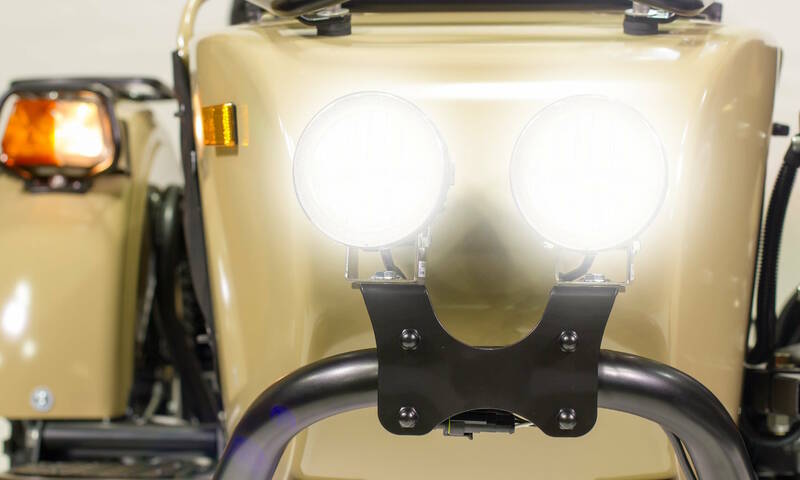 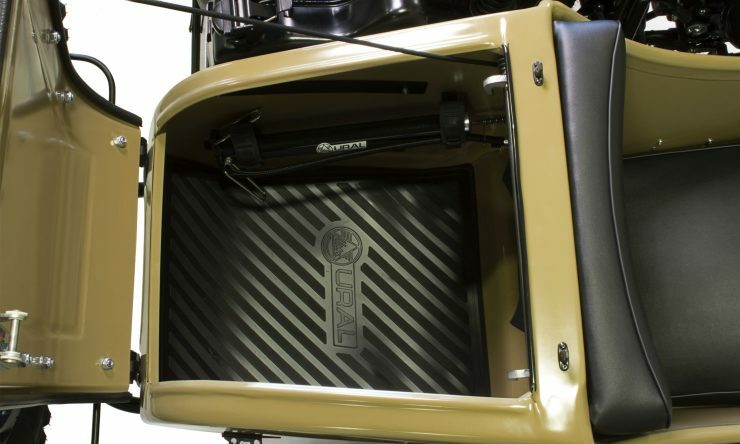 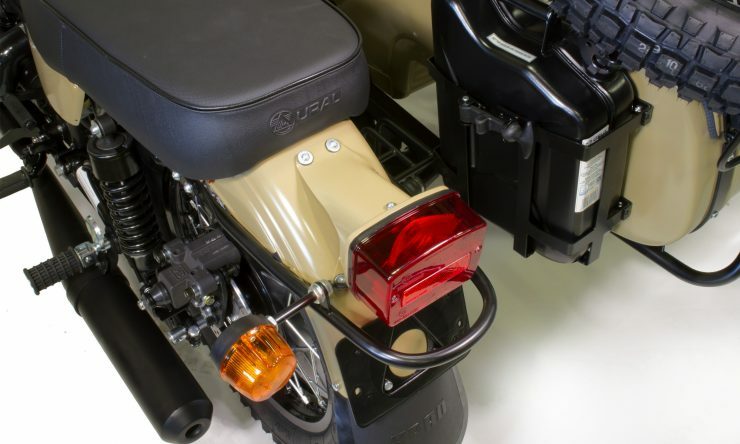 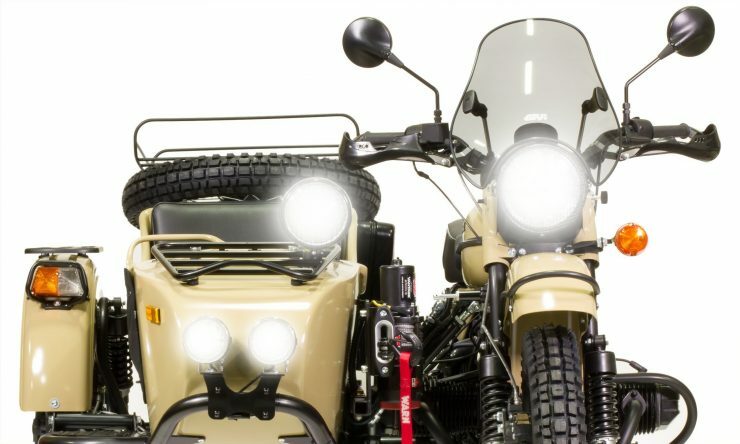 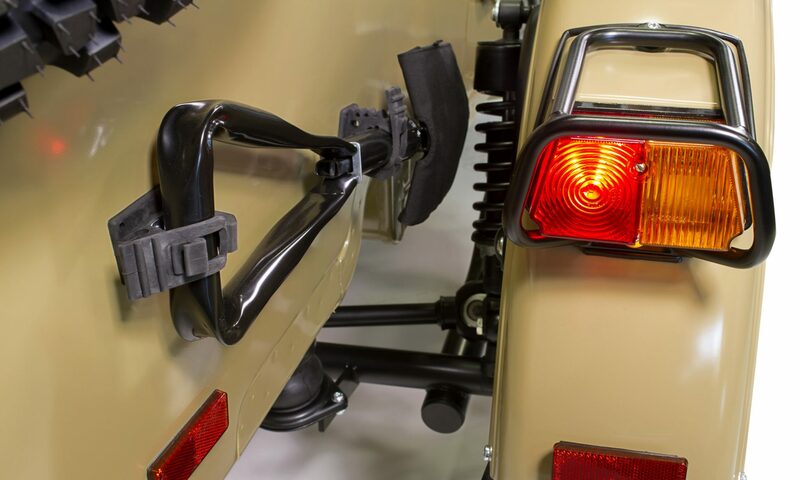 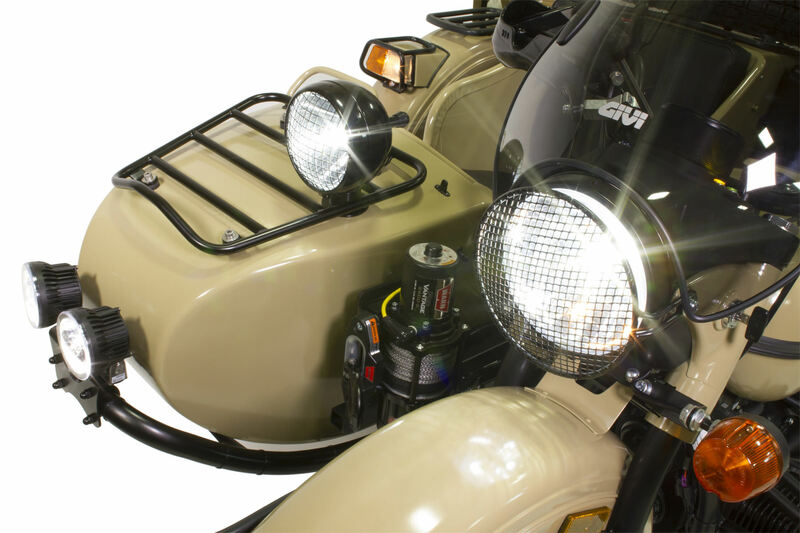 The standard kit for the Ural Sahara includes the spare tire and luggage rack, on-demand two-wheel drive, a jerry can, a utility shovel, and a sidecar accessories panel that allow you to charge your smartphone, tablet or other USB devices like GPS units and lamps. 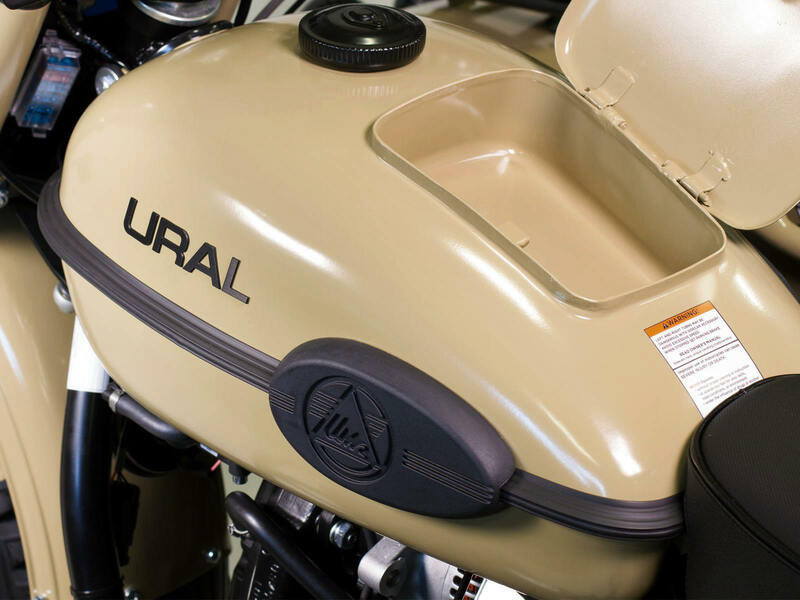 If you’d like to read more about the Ural Sahara or order yours before this limited edition sells out, you can click here to visit the official Ural Motorcycles website.